There are so many questions we face as we grow up. Are we on the right path? How will these decisions affect us in the future? Often, we’re under pressure from our family, friends, colleagues—or a lot of times—ourselves, to excel so our future prospects are bright. And sometimes that view leads to sacrificing the present moment. Young adult fiction is a glimpse into teenagers and the struggle of growing up. In our debut novel, Jane Unwrapped, our seventeen year-old protagonist, Jane, is so preoccupied with becoming a groundbreaking scientist and getting into the prestigious Cambridge University that she never leaves time for fun. When she dies and wakes up in the Egyptian underworld, she discovers that death has a lot to teach her about life. When Jane has to face the fact that her life is over, she reflects back on all the things she sacrificed in order to have the strongest university application: making friends, having her first kiss, enjoying life in general. Suddenly, with the weight of that university application lifted, Jane strives to enjoy what she has left—and that means an adventure in ancient Egypt. When Jane goes back in time, she meets an eighteen year-old King Tut, who’s going through his own struggles. On the opposite side of Jane, his advisers constantly expect him to plan for his future (including his own tomb!) whereas he would rather just savor the beauty of a sunset or a good conversation. Tutankhamen is constantly at war with himself, trying to avoid thinking of the pains of his past, and attempting to make different choices than his precursors. But both perspectives are important, whether to a contemporary scientist or an ancient king. Jane learns to appreciate life for the simple things, for the joy of a moment, instead of constantly looking into the future. Tutankhamen, on the other hand, begins to understand how looking into the past can provide answers for the future. Growing up is messy and difficult, and a lot of times, scary…especially if you’re growing up while you’re dead. But Jane learns that one giant milestone is as equally important as all the little pebbles along the way. Teen scientist Jane’s latest experiment in living went really wrong. 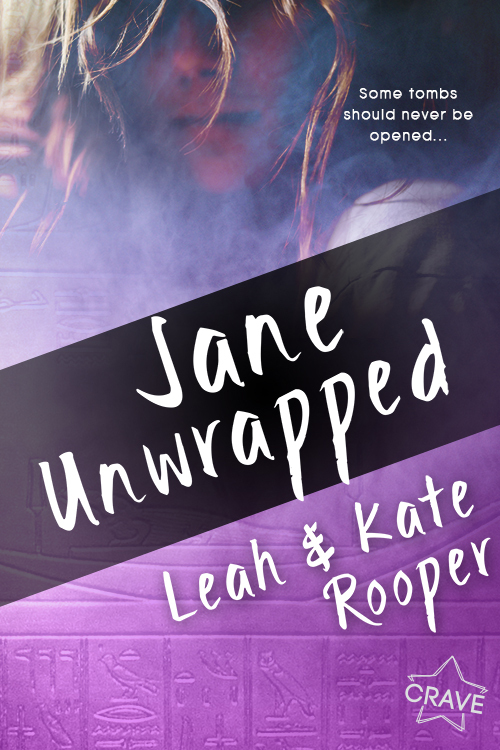 After a fatal accident, Jane becomes the first modern-day mummy—and wakes up in the Egyptian underworld without a heart. With nothing to help her get into paradise, Anubis, the snarky god of embalming, wants to devour her soul. Then again, Anubis is drop-dead gorgeous, so maybe things aren’t so bad after all. But a mad god offers Jane a way out of the underworld, and she only has to do the impossible—go back in time and steal King Tut’s heart. Well, every experiment has variables which can end in disaster. Between posing as a priestess, trying to murder the young pharaoh, and being followed by Anubis, who can’t seem to decide if he’s going to kiss her or kill her, Jane has to make a choice: Do the logical thing and steal Tut’s heart, or find a way to save them both…Even if it means rebelling against all the gods of Egypt in the process. This Entangled Teen Crave book contains life in the name of science, the rage of a vengeful god, love against life and death, and swoon-worthy kisses. Warning: you may find yourself wishing that you,too, had died and gone to the Duat.